The tributes have come in as Arsene Wenger announced that he would be stepping down as Arsenal boss at the end of the season. The French tactician has been in charge for 22 years, winning three Premier League titles and seven FA Cups while also going on an impressive run of qualifying for the Champions League for 20 consecutive seasons. Although he has undoubtedly struggled in recent years to arrest Arsenal’s slide and ensure that they are able to compete for major honours, there is no denying that he has had a huge influence on the club. From keeping them financially stable to enjoying success earlier in his tenure to developing quality talent throughout, Wenger has had a major impact on various individuals over the years. In turn, after his announcement was made, the tributes from current and former players and pundits alike flooded in congratulating the Frenchman on his achievements and his role in helping them realise their full talent. 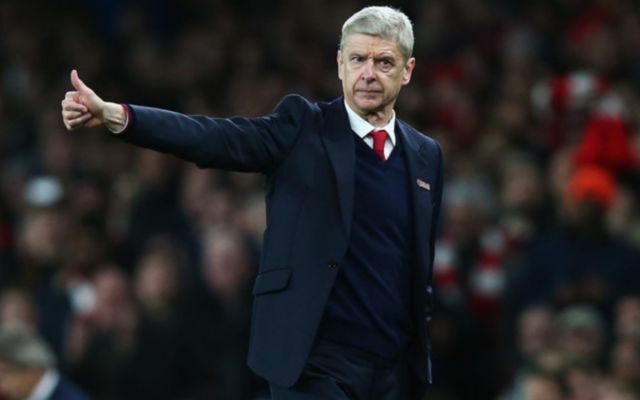 Time will tell who replaces Wenger, but it certainly won’t be an easy job. While he hasn’t won the number of trophies that many expected him to or demanded, the list below of players that he has played a fundamental role in becoming top stars speaks volumes. Wenger will remain in charge until the end of the season, and it remains to be seen if Arsenal do indeed thank him on his last game at the Emirates with many of these familiar faces likely to be in attendance. Wow. I never expected that but it shows the great dignity and class of the man. I will never forget his guidance and support, his tutelage and mentorship. He had faith in me from day one and I owe him a lot, he was like a father figure to me who always pushed me to be the best. Arsene, you deserve all the respect and happiness in the world. #classact ?? Congratulations on an incredible 22-year career at Arsenal, Arsene Wenger, and best of luck for the rest of the season… apart from on your 60th game against us next Sunday ? Sincere good luck to Arsene Wenger in the future. Produced one of the finest English club sides ever. Legacy intact, a great and extremely healthy football club can now pass onto the next guardian.